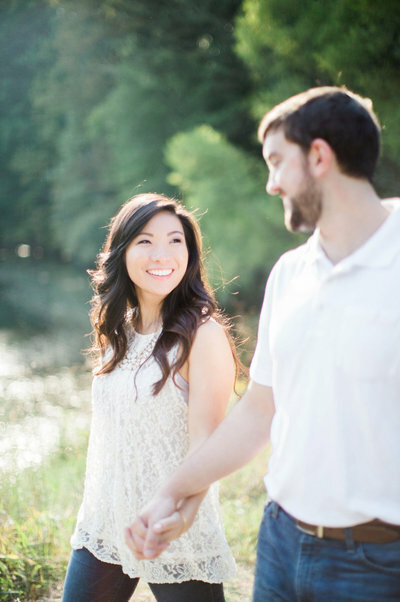 Emily + Jake had a romantic Reynolds Lake Oconee wedding this past June! A perk of having a lake wedding is taking your boat out for wedding photos after the ceremony! 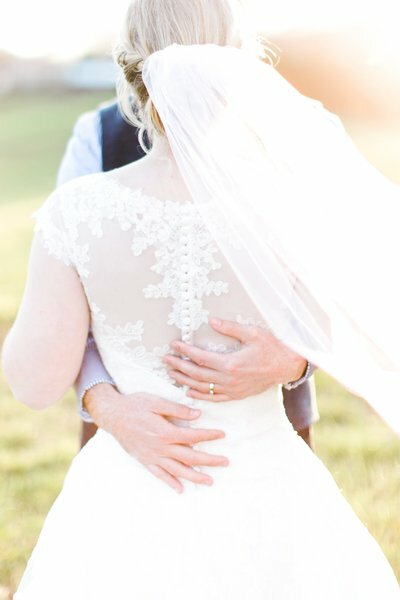 This first-time experience for me did not disappoint because I’m in love with all of their photos! I first met Emily + Jake in Downtown Decatur where we took engagement photos at Dairy Queen because that’s where they first met! On their wedding day, they continued the Dairy Queen tradition by having a Dairy Queen wedding cake, yum! Their ceremony included several personal touches by the bride + groom. They had log flower vases that lined the aisle and an altar that Jake built himself! Emily’s beautiful flower crown matched the florals on the altar while she carried the prettiest bouquet of flowers, peonies! After the ceremony, Fenway and Tuck, their two adorable dogs showed up for photos and sported a flower crown and bow tie of their own! The newlyweds let me take them back outside for photos during the reception (so grateful)! This time we went to the beach area where they laughed, ran through the sand, and held hands as the sun went down! 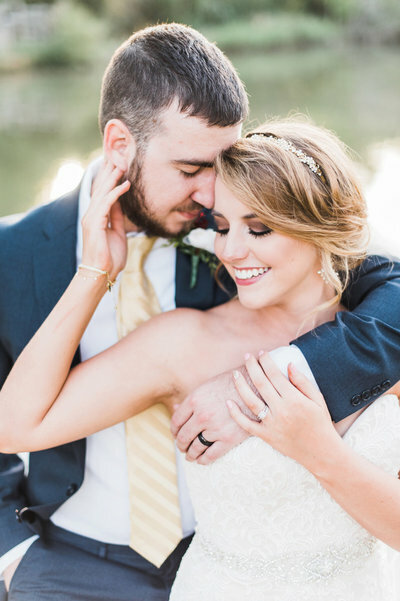 Emily + Jake, thank you for letting me take so many gorgeous photos of you two! Congratulations Mr. and Mrs. Davies!